Remember a while back when CD Projekt Red kind of baffled everyone by saying that it aims to release two 'AAA' role-playing games by 2021? One of them is obviously Cyberpunk 2077, but what the heck could the other be? We still don't know, but the developer has reiterated that it is indeed sticking to this road map. This is according to a post on the studio's official Polish forums, where it writes "as far as the strategy of the CD Projekt Capital Group for 2016-2021 is concerned, its plans to release the second AAA game by 2021 remain unchanged. We are currently focusing on the production and promotion of Cyberpunk, so we do not want to comment on further projects" (thanks ResetEra poster Anitax for the translation). At this point your guess is as good as ours. In the past, the developer has said that more games set in The Witcher universe aren't out of the question, and if it's being released in the next two years, maybe it's based upon the existing tech of The Witcher 3: Wild Hunt? Again, very hard to say for sure. Of course, the other side of this conversation is perhaps just as interesting. If CD Projekt Red is launching both projects by 2021, doesn't that sort of suggest that one of them could be released this year? Could Cyberpunk 2077, which is clearly coming first, hit in 2019 after all? A recent rumour said that it is, so maybe the signs are adding up. What could the studio have in store? Let your predictions run wild in the comments section below. It's the by 2021 that gets me. Surely CDPR doesn't plan on releasing two games in 2020? Doesn't that mean one of them has to launch in 2019? Unless "by 2021" references the fiscal year, in which case the mystery RPG could launch in Jan/Feb/March of 2021. In any case, this is really interesting. @ShogunRok Doesn't "by 2021" also includes 2021? I would understand it as "by the end of 2021". Probably their way to say it will be released on the current generation of consoles and we won't see a new PS or XBox until 2021. Yeah, I'm a little suspicious about this. Knowing that they have put all their energy and resources into developing Cyberpunk 2077, which by their own admittance, is a very ambitious project, what would they have left for a second AAA game? No...I think we are all going to get disappointed by this other AAA game. Probably something like Gwent 2 or Thronebreaker 2, or some other poor top-down old-school game. Definitely NOT a Witcher game. We can only hope to learn more at E3 this year. I could maybe imagine a fresh 'Cyberpunk 2077' trailer being shown, this time with a release date. They wouldn't give us that and a teaser for their other title, would they?? i mean they are banking hard on next gen software these days. not to say that they will reveal a next gen xbox yet but maybe have a tease of a next gen game like bethesda did. altough if it's a witcher game than i don't think it will be a full sequel but rather a big spinoff based on witcher 3 tech. Lets all hope it means Cyberpunk 2077 is close. I do expect news at E3 this year. This has been my most wanted game from that first teaser trailer. @jdv95 Hmm, perhaps you're right. I wouldn't be surprised if they were planning something for the next generation. Whether it gets here before 2021 is another question. However likely, it's still not a guarantee. But hey, we'll probably find out sooner rather than later, right? @Kyroki this year's e3 will for sure showcase some next games just not from every studio. so i say that it's around 50/50 for a reveal regarding this unknown game. if it is a witcher spinoff based on exisitng tech than the chances could increase. perhaps in the form of a small teaser like TES 6 and perhaps on MS show. 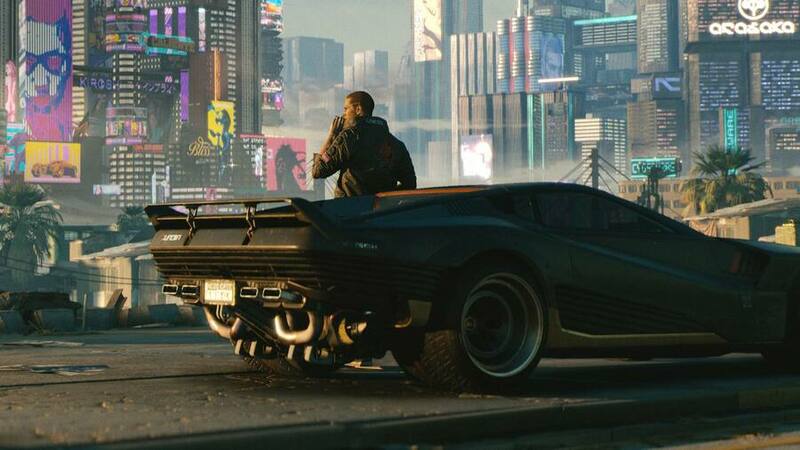 I can't wait to see more of Cyberpunk 2077 at E3. It's like my dream game and I am so so so so so so so so so so so so hyped for it. @jdv95 This years E3 will certainly be exciting, that's for sure. Calling Cyberpunk 2077 releasing in 2020, and mystery game getting delayed past 2021. Cyberpunk launches this year, and Cyberpunk Online is a stand-alone launch in 2021, exclusive to Next-Gen.
Cyberpunk 2077 this year, The Witcher trilogy for next gen 2021. With a large backlog would I buy and play them again? Yes, I very much would. 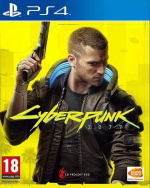 I hope I'm wrong here and we are getting two separate CDPR AAA RPG's by 2021 but do you thin it may just be Cyberpunk 2077 on current gen & then being re-released on next gen? They obviously have more than one team but with Thronebreaker just released I don't know how they could build something of the size & quality they're known for and no one knows about it. I don't know how big the studio is but just going off of how big & amazing The Witcher 3 was & how big & amazing Cyberpunk 2077 is shaping upto be I really don't know what we could possibly get. So assuming it's as seems to be implied a whole new fresh AAA game after cyberpunk 2077. Hardly a push, they staff levels have increased dramatically in last few years and cyberpunk has been in development for a long time. It also makes sense that when you have a lot of specialists that some may not have anything left to do on a project long before it is completed and they may have moved onto another one some time back. Personally I hope it's another Witcher related game but you never know. Maybe they are doing a post apocalyptic RPG. Oh man another Witcher 3-like adventure would be enough to have me hooked for a full year!! Couldn't agree more. I still firmly believe that The Witcher 3 was the best game to release in the past 10 yrs (quite possibly ever!) Never have I witnessed such a wide scope to a game and countless quest result variations, it is just so brilliantly created. And yes, I also agree that it needs to be something not Gwent related or Card related should I say, and don't get me wrong, I love both Gwent & Thronebreaker. Just that their not the brilliance that The Witcher 3 portrayed. I love the Witcher 3 world & lore & everything!! Can't wait for a new addition! !